A US topo map, or topographic map, is one of my most important tools when I am searching for old, ghost town in the east. By using these maps correctly, in addition with the use of other maps, which I will explain, you will be well on your way to locating the old settlements, or keeping yourself safe while hiking, backpacking, hunting, etc. What Is A Topo Map? These maps show the area of all the land in the United States. 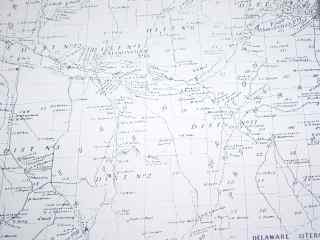 By sections, they will show the contours of the terrain, the height of the land above sea level, what swamps there are, any forested areas, where the roads and creeks are located, what rivers and ponds are there, as well as all building structures that were in existence at the time the topo was made. The maps are an important part of my research. I have hundreds of them, many of different states. For me they are a very important tool to use. Hikers, campers and backpacker’s use these maps. Professional people, like surveyors, or land developers, forest rangers and the Department Of Conservation, also use Topographic maps. They are an invaluable tool for the outdoors person and should be in the possession of everyone who intends to hike, travel or backpack into a wilderness area. Important…By noticing structures that are listed on an old US topo map you now have a definitive, known existence of a building in the area. This benefit makes the use of older maps very important for research. Purchasing a new map of any area is easy. Most Army and Navy Surplus stores, and many of the large outdoor retailers, sell them to the public. You can also download them from the Internet. Sometimes you need the old map to find out of the way places. The reason why is because the updated and newer maps of an area, will not show the older structures that were once in existence.I use them to locate the old ghost towns that once existed in the east. My purpose of the older map is to compare it to a modern map of the same area. Most libraries have them in their history sections; all you need to do is make a copy. Bookstores that sell older, used books of local history, will sometimes carry old topos. Antique stores who specialize in local history may carry old maps. Estate and house auctions sometimes auction off old, US topo maps. After you find the older topo for the area you are going to search, you should then purchase an up to date map of the same area. One of the best maps to use is a county map. They can be purchased at most local service stations and convenience stores. If you are having trouble locating a county map, try the county highway department of the area you are searching in. 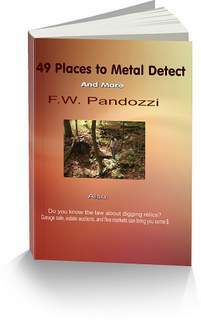 As I mentioned earlier, I use the old topo's to find the old ghost towns that once existed in the eastern states. Ghost towns in the east once existed as a small town or village. They may have been the first settlement of an area. Perhaps the ghost town grew from a tiny hamlet consisting of only a few homes, and then grew into a thriving settlement that consisted of many homes and businesses. I have hiked through thick brush, crossed streams and rivers and climbed many hills using a U.S. topo map, to locate the gone but not forgotten towns. Oftentimes, that is the effort that is needed to locate them. As mentioned, many of the ghost towns in the east consist of nothing more than a hole in the ground. Those empty holes are the only reminders that at one time a family had lived there. Information on US topo maps for your State. More States will be added If your State is not listed, please bookmark this page and come back. We used topo's extensively in my TV series. A U.S. Topo map helped me find the old towns.